Evernote Integration - ScanFiles, Inc.
Our Evernote integration allows us to not only scan your files into an online service making it easy for you to use, but also Scanfiles will sort your files for you into the proper notebooks so you can concentrate on doing business and getting work done, instead of sorting through mountains of files. This sorting also applies to our Daily Mail Scanning services! Get your mail automatically delivered to you via Evernote and properly sorted for you so you can address the most important items first, making your workload easier and saving valuable time! Evernote is a total organizational tool that lets you keep documents in one place. With Evernote, you can organize notes, clips from the web, PDFs, and pictures and store them all in one place. You can also save what you find on the internet when browsing, which makes it easy to return to important sites and links. Additionally, you can scan your handwritten notes into your PC using a scanner or (using the mobile app) you can take pictures of your notes and store them in Evernote. This way you don’t have to worry about finding scattered notes, clippings, and documents for a particular project – instead you can use Evernote to keep all your different types of files in one place. 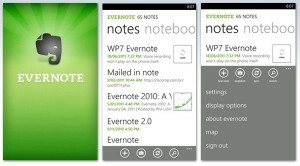 What can I do with Evernote? With Evernote you can easily get organized for an important presentation, a creative side project, or an artistic hobby. The fact that you can keep many different types of files, including stored clips from a browsing session, in one place, makes it easy to get your projects – like planning a wedding or renovating a home – easy. Evernote is also great for students – research and writing can be stored side by side, making preparing for writing and collaborative projects easy. You can use evernote with your mobile device including Android, Apple iOS, Blackberry, and Windows phone. Evernote can be used on both Mac and Windows Operating Systems. Using the web, you can access Evernote through your default browser including Safari, Chrome, Firefox, or IE.